Register FREE Instantly! See Who's Interested In You! Actually meet Costa Rican singles and introduce yourself. Sun kissed skin and toned curves, these are the top common physical qualities of a Costa Rican woman, or also known as "Ticas". Although these ladies have a lighter complexion compared to other Latinas, they still have that naturally tanned skin that they like to show off. This is why many foreign men find these ladies as the epitome of beauty. When it comes to love, these Ticas are open to dating foreign men as well as those older than them. Most Costa Rica men have alpha personalities that show dominant traits. For this reason, many of their ladies look for foreign lovers who can treat them as equals, if not princesses from movies. The stability these men and those older in age offer is very attractive to these ladies. 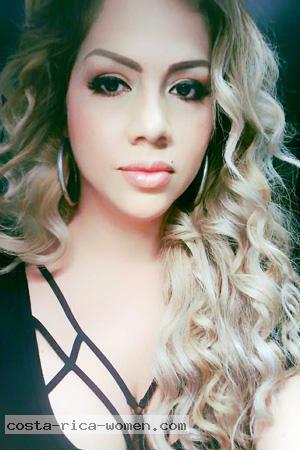 Overall, single Costa Rica Women are looking for American men or men from other westernized countries, who take relationships seriously rather than men who are only looking for casual hookups. These Costa Rica singles, real women looking for love and marriage, are playfully flirtatious. They respond to your sweet words and gestures with genuine friendliness. Without a doubt, they are women of class and culture and will easily leave a mark on your heart. The intelligence of these ladies are not to be taken for granted. Most of them are well-educated from prestigious universities and have been brought up with high influence from European culture. These beautiful qualities are not seen only on the appearance of these ladies, but are also present on the inside. Majority of Costa Rican ladies are born and raised Catholic, which explains their deep faith to the religion. They also have strong family values, which is why many of them choose to stay in Costa Rica rather than leaving their home country. However, this doesn’t mean they limit themselves to Ticos. In fact, Ticas are best matched with foreign men. Join our singles tour programs and be a part of the many happy gentlemen who have found their bride in the gorgeous country of Costa Rica. We are one of the finest dating agencies and provide a very proficient service to all our clients in terms of meeting women in Costa Rica. The guests in our tours are well-assisted, well-accommodated, and most of them go home with an overwhelmingly satisfied experience. Contact our team of experts for details of this life changing experience. What to Expect on our Singles Tours? 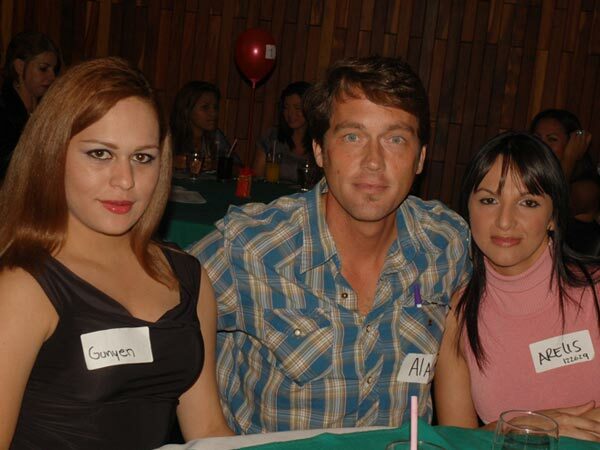 Costa Rica Socials - Meet hundreds of single Costa Rican ladies who are eager to find love. There are three Socials hosted by the best Costa Rica marriage agency where you have the opportunity to find potential partners, verified genuine ladies, among the beautiful attendees. Yes, you CAN find a wife in Costa Rica. Hospitality Suite - At every accommodation where you are hosted, there are available staff members in a “hospitality suite” that will assist you with your every need. You can visit them within a specific time for unlimited personal introductions, viewing of profile catalogs, and other concerns. You may also inquire about fiancée visa kits from the available staff on the suite. Transportation and Accommodation - You will be hosted in the best hotels in the area with transport services available for airport pickups, tours, and other tour-related travels. Only four-star accommodations are considered to give you and the rest of our guests the best time in Costa Rica. City Tour - When joining our Costa Rica singles tours, you also get to experience a fun tour around the city. We choose must-see destinations and plan out the itinerary for your adventure. You get to see gorgeous ladies and enjoy all the fun perks that Costa Rica has to offer you. What’s in the City Tour? Single Costa Rican women are eager to meet foreign men like you through our dating agency. We will take you the most-desired places in Costa Rica. You can invite one or more of the Costa Rica women you have met to join you. Some of the places you will get to see are some of the many historical sites which are rich in the country. We may also take a quick visit to the Sabana Park and the historical National Theatre which was built in 1897. We may also plan a trip to the Irazu Volcano National Park among other natural parks as well as the Hacienda Orosi Hot springs. Other places to see include the La Paz Waterfall Garden which is a very romantic place for you to take a lady on a date. There is also the Doka Coffee Estate where you can take a sip of the famous Costa Rican coffee and where you can watch how the golden beans are turned into such a luscious drink. You may also visit the Butterfly Garden, Hummingbird Gallery, and a lot more tourist destinations. Register free with us today and start using our amazing matchmaking service.